New England’s longest waterway, the Connecticut River, provides over four hundred miles of canoe and kayak exploration. With its consistently navigable waters, few portages or difficult rapids, and a rich and varied landscape, the Connecticut River provides a unique opportunity to paddle through the heart of New England. 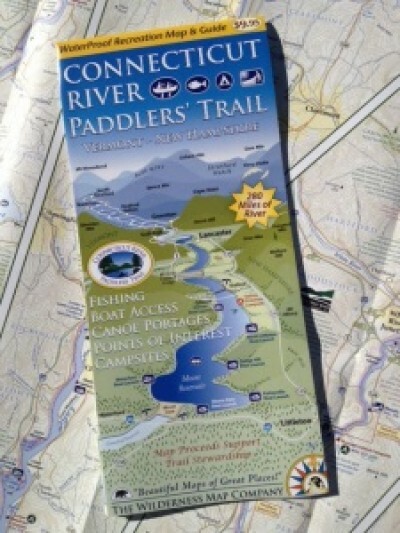 The Connecticut River Paddlers’ Trail is a series of primitive campsites and river access points spanning from the headwaters south to long island sound. While most of the river shore is privately owned, a number of generous landowners have agreed to host the public at primitive campsites on their land. In the early 1990s, the Upper Valley Land Trust was instrumental in establishing formal river campsites in Vermont and New Hampshire. Since their initial effort, many others have developed additional campsites and completed access improvement projects in the upper watershed. The Friends of the Connecticut River Paddlers’ Trail, a collaborative of partner organizations and community members formed in 2009 to work together in trail planning and development, building and maintaining campsites, improving access points and portage trails, and disseminating information to visitors. The Vermont River Conservancy currently coordinates this collaborative effort in VT and NH. In 2012, through the leadership of the Appalachian Mountain Club, the Trust For Public Land, and the Silvio Conte Fish and Wildlife Refuge, an initiative to expand the trail south into Massachusetts and Connecticut was launched and a “southern chapter” was formed. The primary goal of this new partnership is to close the gaps in primitive campsite availability, focusing on the 85 mile stretch where no official campsites are available to the public. If you’d like to support this work, join the Friends of the Paddlers’ Trail today!